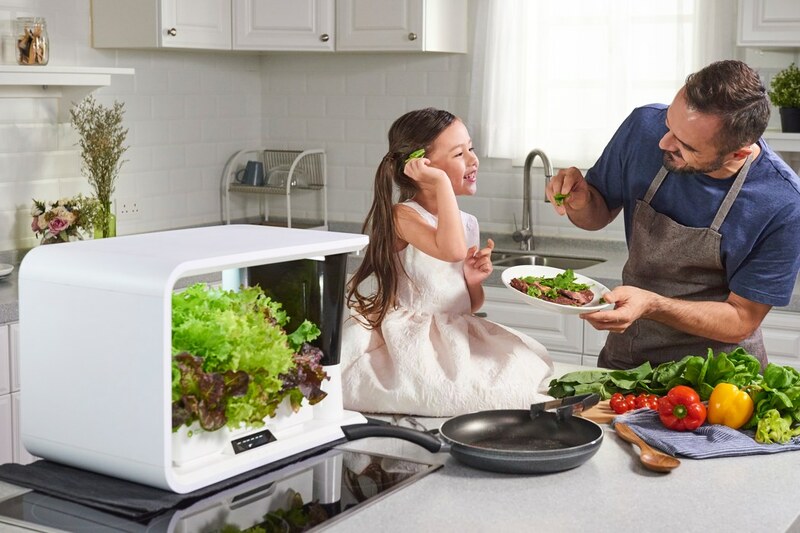 Home » Yanko Design » Produce Fresh Vegetables in The Comfort of Your Home! When we think of growing plants, phrases such as ‘High maintenance’, ‘Unreliable’ and ‘Time consuming’ spring to mind. But this doesn’t always have to be the case… and Aspara proves this! 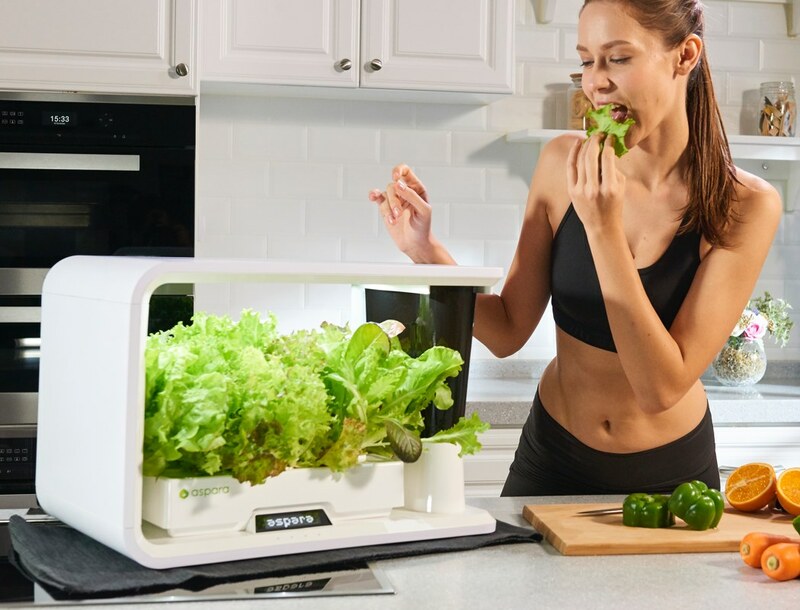 Aspara is a smart indoor garden that encourages the growth and consumption of fresh, healthy vegetables and herbs! Remembering to water the plants is a thing of the past; a scaled-down hydroponics farm system has been neatly integrated into the design, allowing for a reduced amount of wasted water, a faster plant growth, and perhaps most importantly, the elimination of the need for regular watering! 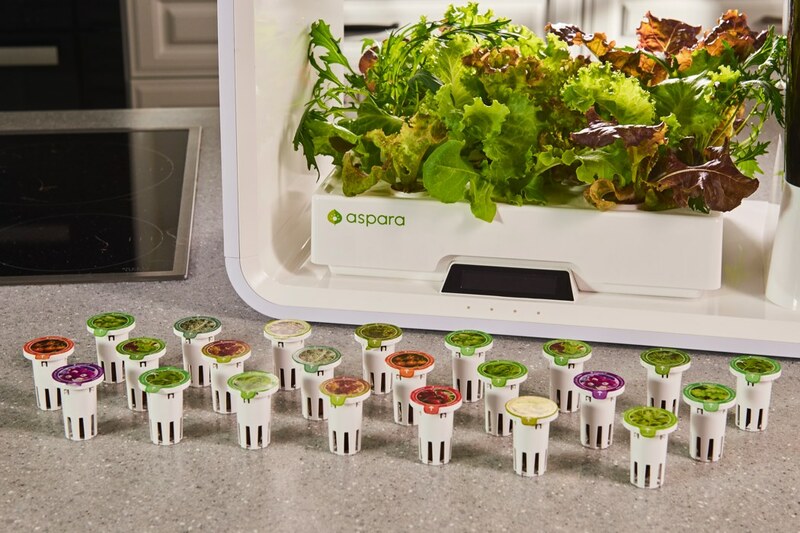 It’s not just watering that Aspara simplifies… it removes complexity from the start with its dedicated seed kits; the organic and/or non-GMO capsules plug straight into tray, removing the need for getting your hands dirty! 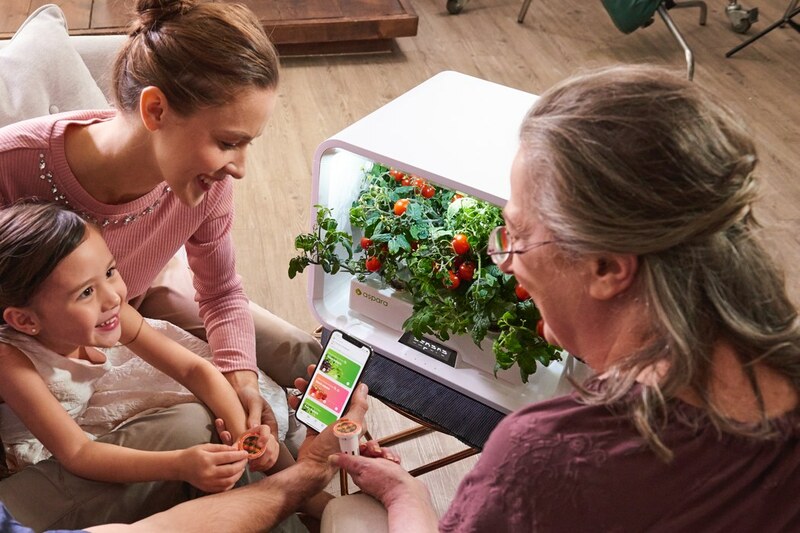 The conditions of the plant’s environment can be monitored remotely from the mobile app, where you can also enter into a community of fellow gardeners, and share tips, tricks and advice on how to get the most out of your indoor garden! Click Here to Buy Now: $328 $499 (34% off). Hurry, less than 48 hours left! The adjustable grow light provides a full spectrum of intensity that caters to the needs of different plants at different growth stages, as well as your personal preference. Control growth through specific programs and replicate nature with sunrise and sunset scenery. The reservoir water system automatically waters your seeds and plants based on their nutrient levels and stage of life. The automatic ebb-and-flow-design circulates the water so that nothing is wasted. December 21, 2018 at 7:00 PM Turn your Google Home Mini into a Mickey! December 21, 2018 at 7:00 PM Turn your Google Home Mini into Mickey!